Composite doors from Phoenix combine the best features of uPVC, timber and aluminium to create a door that has impeccable performance, security and energy efficiency properties. Combining a thermally insulated core with a robust fibreglass skin, composite doors from Phoenix are some of the best around today. Thanks to the hybrid materials used in their design and manufacture, our composite doors have impeccable security and energy efficiency features. All of our composites use multipoint locking for enhanced levels of security. They also utilise a full length, 4mm thick aluminium lock strip on the door which further increases their security performance. 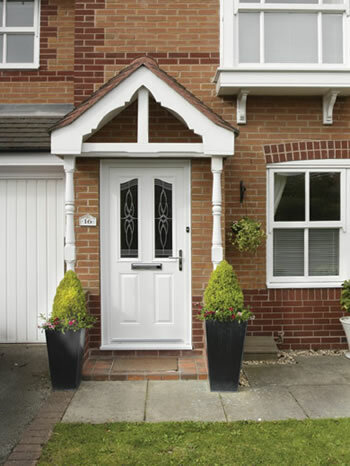 All of our composite doors are available in a range of versatile, all-round colour options. These include popular hues such as Grey, Cream and Chartwell Green, White, Black, Blue, Red, Green, Oak and Darkwood. Whatever your needs, there’s sure to be a colour in our wide range, guaranteed to suit the style of your property.